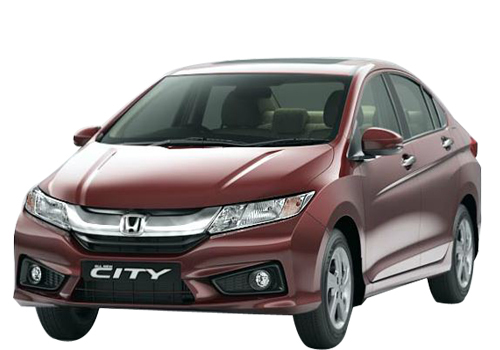 Honda City has emerged as a great brand name in the past few years. It has been immensely popular in the Indian as well as foreign markets. The quality and trust of Honda is the biggest factor in making this car such a big story. It is beautiful, it is spacious, and it is performance oriented. Exteriors: The exteriors of Honda City are attention grabbers. The chrome grille in the front looks fantastic. Plus the headlights and tail lights are beautifully designed. The finishing of the car is extraordinary and makes it stand out from the rest of the cars. The colouring is also beautifully done and looks elegant. Interiors: The interiors of this car can make anyone go crazy. It's nothing less than a proper luxury car. The upholstery is smooth and beautiful. Everything in it adds to the styling and comfort, and makes you feel superior. The dashboard is outstanding. All credits to Honda for taking care of every small thing. The boot space in the trunk is capable enough of carrying a family's luggage. Engine: The 1.5L (SOHC) 4 Cylinder 16 Valve i-VTEC Engine delivers 118ps@6600rpm power. The torque is 146nm@4800rpm. The engine is smooth, silent and powerful. The experience of driving Honda City is satisfying and awesome. It comes only in Petrol variant, and has a manual transmission. The fuel tank capacity of the car is 42 litres. Honda City gives a descent mileage of 12 km/l in the city and 16 km/l on the highways. Performance: The performance of this car is really good. It is powerful, it is edgy, it is comfortable, it is quick. The top speed of this car is 183 km/h, which is excellent. Safety: The motto of Honda is 'Safety comes first', which suits for City too. It comes with major safety features. You name them, and it has them. Airbags, ABS, Central Locking, everything's already on it. One of the safest cars to ever hit the Indian roads. Verdict: If you are looking for car in the budget of under 10 Lacs, this car is the best you can get. It has all the features you desire, and the power to pump your adrenaline. You'll be surprised at what all this car has to offer you. Believe it or not, this has been my most satisfactory car of all time. Realy good & comfortable car. Mostly using it on high-ways. Very smooth runing. The mid-size Honda City sedan is a fantastic blend of impressive styling, sophisticated design, thoughtful innovation, and advanced safety. Honda city is very populer & succesfull car in india. is a attractive car in india market. really awesome car.